If she could—if her parents would let her—eighth-grader Windy would change everything about herself. She'd get highlights in her hair, a new wardrobe; she'd wear makeup. But nothing ever changes. The mean girls at school are still mean, and Windy's best friend, Elena, is still more interested in playing dress-up with Windy's cats than talking about boys. Then Nina shows up. The new girl is effortlessly cool and confident—and she starts hanging out with Windy! Nina even wants to be "breath sisters." Windy isn't sure what that means, exactly, but she knows she wants to find out. It sounds even better than a BFF. And it is, in the beginning. Being a breath sister brings Windy a whole new set of friends, girls she feels closer to and cooler with than anyone else. But her inclusion in the new crowd comes with the "choking game," which Windy isn't sure she wants to play. Windy has decided she wants to change everything about her life . . . but is she really willing to give everything up, too? "A heartfelt novel about the disturbing 'choking game' trend--and one girl's struggle for self-acceptance." "A tale of friendship and trust intersects with a problem novel about dangerous behaviors among middle schoolers . . . Surprisingly real." "Urgent and necessary, a realistic portrait about the pressures of belonging." 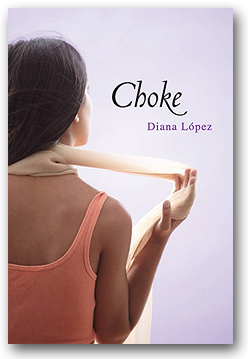 "Diana López has written a novel that is sure to touch readers with its simplicity and sincerity. A beautiful story that is as important as it is moving."